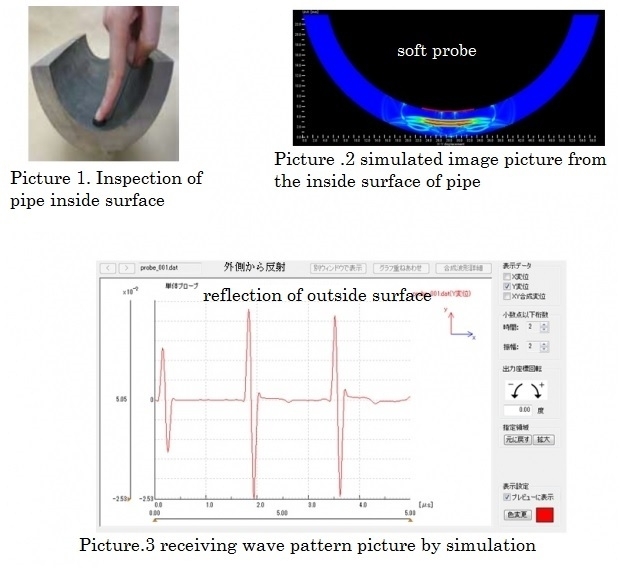 We simulated the way of ultrasonic propagation inside surface of pipe by SWAN21. 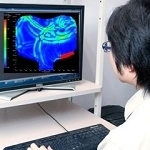 We confirmed signal intensity movie and then we can confirm the reflected signal from outside surface of pipe. On the movie, we can judge that the signal is a transmission signal, the first reflected signal, and the second reflection signal.